Strategic planning is an elaborate term typically used in Fortune 500 companies and business schools. Very few businesses know how to put strategic plans together and even fewer of them ever get around to executing their strategic planning efforts. Ron Sturgeon founder and owner of Peer benchmarkingTM knows from his multiple successes in business that the key to success in business is executing a simple plan effectively and it is less about strategic planning itself. At our Peer benchmarking ReviewTM you and a group of your selected non competing peers will get together to figure out ways and plans to grow your business. You will all be asked to talk to your performance indicators so that you can learn from your peers why they have outperformed you in certain aspects of your business and what you need to do to achieve similar performance. You are guaranteed to come away from these meetings with some great items to execute before you next meeting – our benchmarking path forwardTM kit. To facilitate your strategic planning efforts we at peer benchmarkingTM have developed our growth matrix optimizerTM to make your strategic planning easy and more importantly effective. Strategic marketing sounds somewhat intimidating denoting an elegant well thought out strategy to outperform your competitors. For most of us it is difficult enough to develop a plain vanilla marketing plan let alone engage in an elaborate strategic marketing exercise. At our peer benchmarking reviewTM we facilitate you and your select group non competitive peers to figure out a strategic marketing plan superior to a product a consultant can develop for you. Through an intensive interaction with your peers where you critically evaluate through a process of peer benchmarkingTM your strengths and weaknesses, your competition and the opportunities you have – what works and what does not and why – to develop a great strategic marketing plan. You will be working with your peers that intimately know the dynamics and day to day realities. Our growth matrix optimizerTM is simply a great tool assist you and your peers to develop a strategic marketing plan that is simple, easy execute and focuses of high impact strategies. 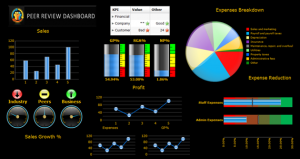 This three dimension visualization tool demystifies strategic marketing. The best strategies for business come from business owners themselves. Who knows your business better than you and select groups of your peers? If you as a small business owner believe that you need to pay a consultant to develop a strategy for your business then you need participate in a peer benchmarking reviewTM soon so that you can experience the powerful dynamic of you and your peer group interacting in a facilitated environment with a clear focus on developing strategies for business owners like you. Your peers know what works and what does not and why. There may be over 50 to 100 years of experience in your particular business in the room. When that resource, knowledge and experience is focused on discussing ways of growing your business we guarantee you will leave the meeting will at least three executable strategies to grow your business. And then the next time you meet you and your peers will then report back as to what worked and what did not. At peer benchmarkingTM we developed our Growth Matrix OptimizerTM to help you and your peers to become proficient at strategic planning and strategic marketing and develop effective strategies for business and growth.